My favorite thing about get-togethers and parties is the appetizers and food. It's just what brings everyone together and it usually isn't something you eat all the time-- so when you do, it's a real treat. One of the most requested items I always want during Holidays and Birthdays is 7-Layer Dip. I figure, this is also a perfect Summer party snack so now was the perfect time to share it with you! 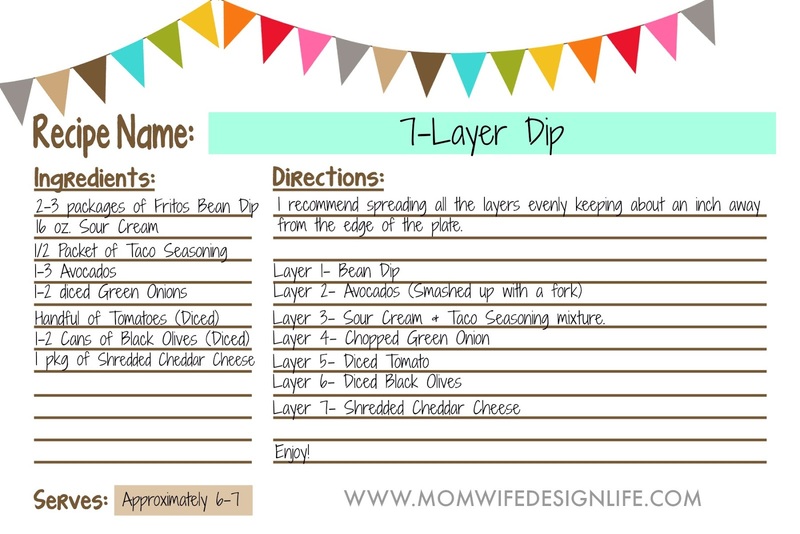 I am such a weirdo that anytime a 7-layer dip is at a party, I always count the layers. Much to my surprise, not many people actually have seven layers. They usually have around 5. But, don't you worry. We have seven FULL layers here, people. 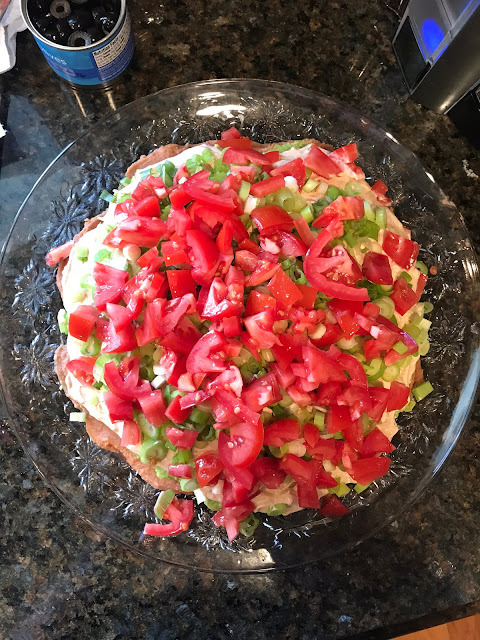 The first layer will be the Fritos bean dip. I like to spread it around a circular plate and keep it about an inch from the sides because once you have all the layers added, it ends up settling more so on the edge of the plate. 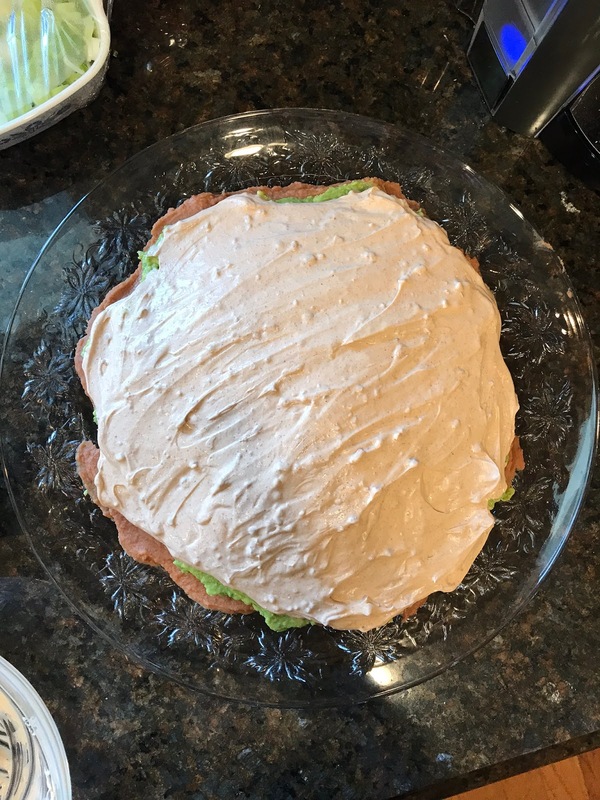 The second layer is the avocado. What I do is smash up the avocado with a fork in a bowl. Feel free to add lime juice and pepper if you want an extra kick. 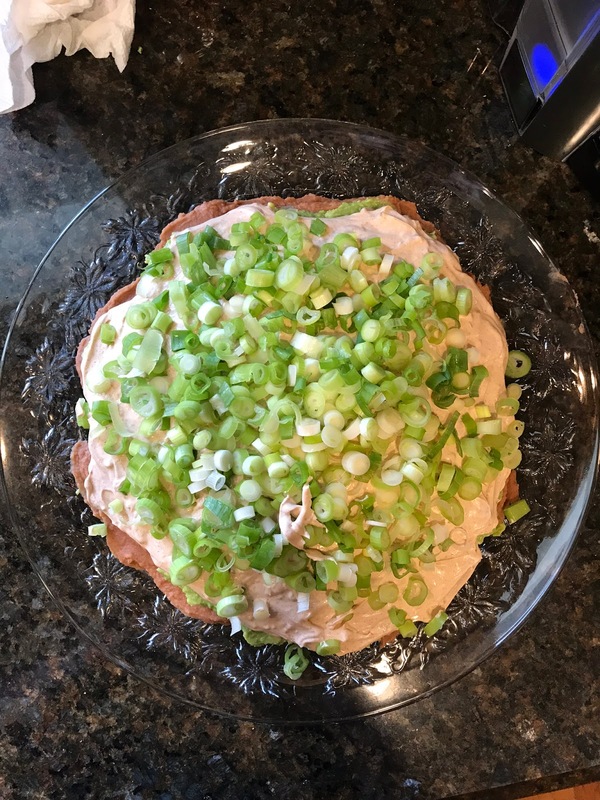 The smear it over the bean dip. The third layer is the sour cream & taco seasoning mixture. I usually dump the taco seasoning directly into the sour cream container and mix it well. 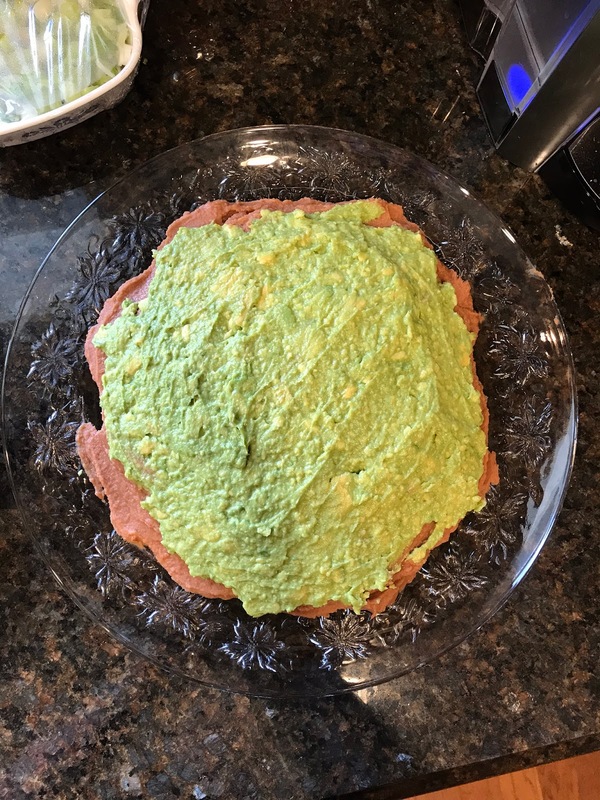 Then smear it on top of the avocado spread. The fourth layer is the chopped green onion. 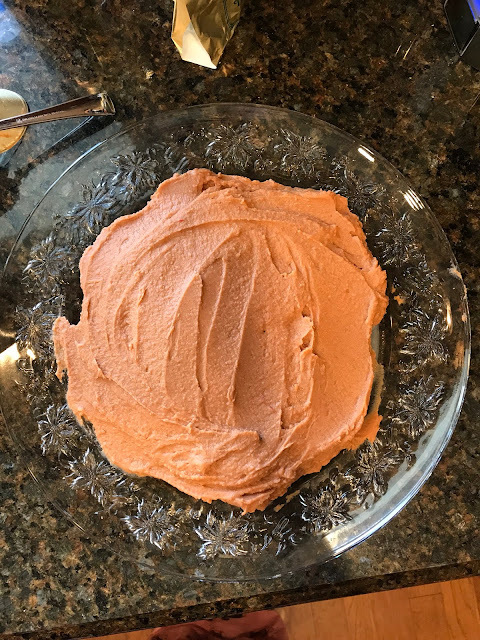 I am not a huge fan of onion, so I ususally will add less of this layer, but honestly, you can't really taste it when you scoop it. So choose to add more or less as you prefer. The fifth layer is the diced tomato. Feel free to cut them smaller or larger depending on your liking. Then sprinkle them over the onions. 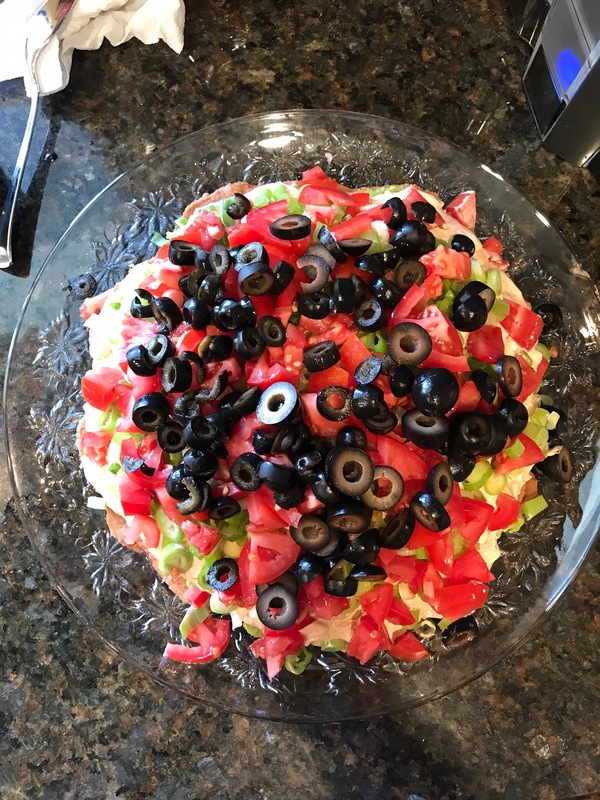 The sixth layer is the black olives. I LOVE green olives, so I always open a few cans and eat them as I make the 7-Layer dip. I don't think I ever make a meal or appetizer without eating a little something as I make it. Please tell me I am not alone. The best part of this dip. The cheese. 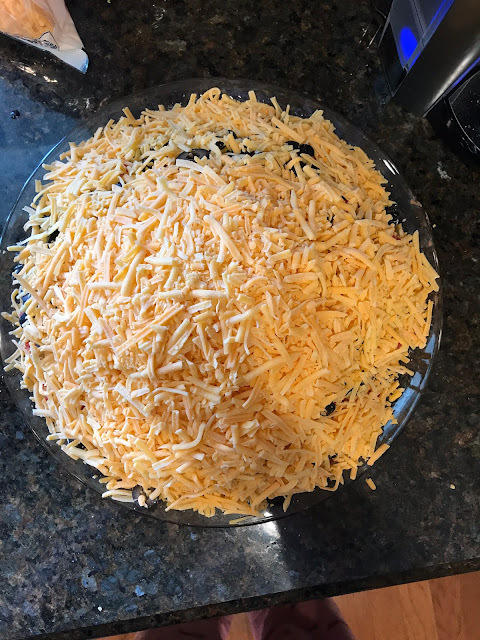 Notice the cheese almost goes to the edge of the plate? I told you this would happen. The dip ends up settling towards the edges so be careful when adding the cheese layer-- it could get messy! I think of it as a good problem to have though! I also included a cute printable recipe card you can keep in your recipe box if you have one. This one is sure to be a hit at your next get-together. I know it is one of my favorites! Plus, anything with tortilla chips is a win-win for our household! Get your printable Recipe Card-- Download Link Below. What's your favorite dip to bring to parties? I'd love to hear! This looks delish! Anything chip & dip related is my ultimate weakness! Thank you! It really is mine as well! I just LOVE appetizers! Dips are my favorite go-to! 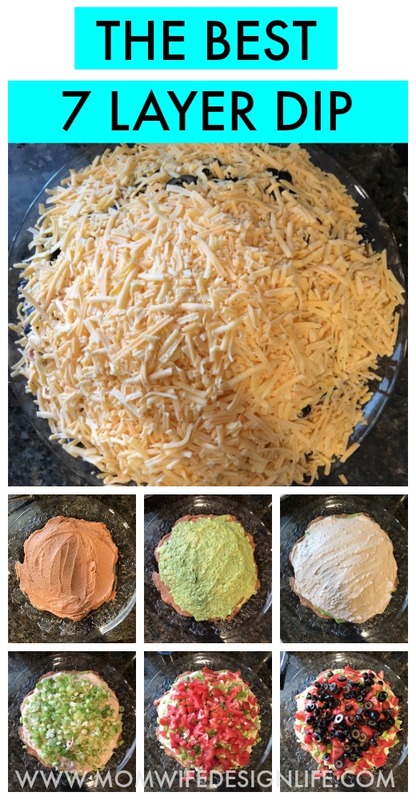 I am always looking for fun recipes and have yet to find a 7 layer dip I love but this sounds and looks amazing. 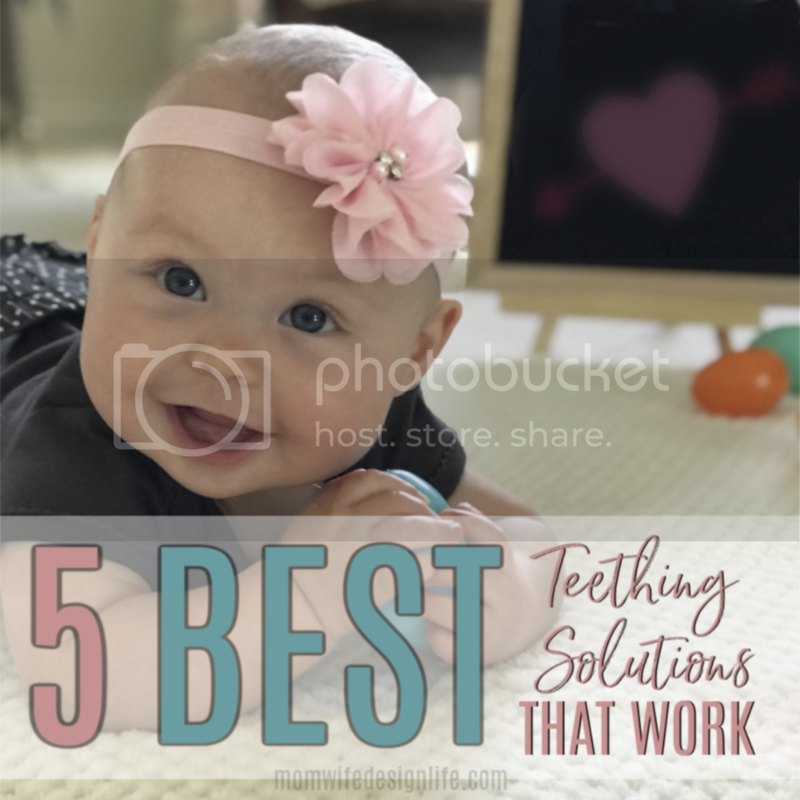 I am definitely pinning and trying this, thanks for sharing! !